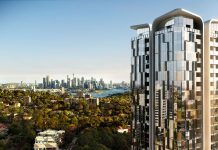 The Sydney CBD is starting to come into a league of its own. 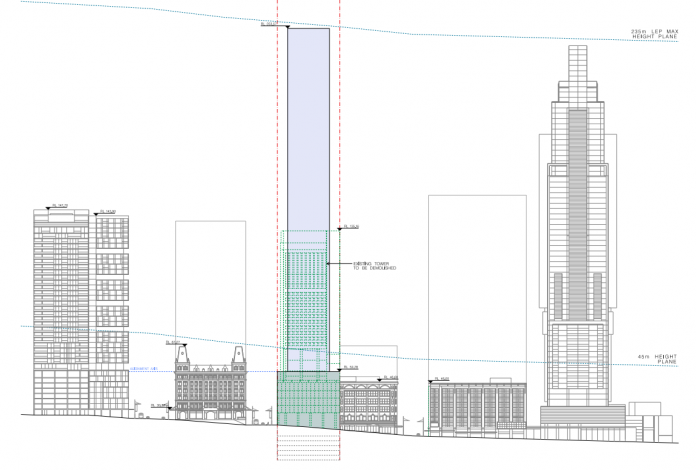 Tower proposals are becoming more common & the latest concept proposal is a monster. 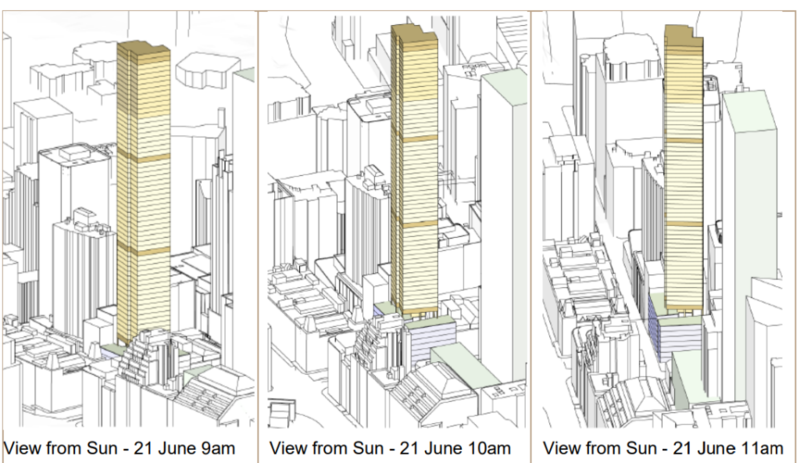 133 Liverpool St which is currently the home of the Catholic Archdiocese of Sydney could potentially be the next plot to go to the max height limit of 234m in the CBD. 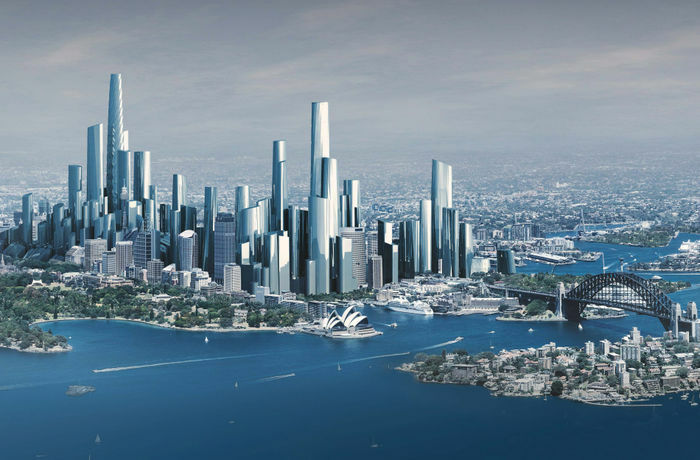 The development will stand out in the CBD skyline as the south side of the Sydney central business district in quite under-developed in terms of skyscraper construction above 200m. Meriton’s World Tower standing at over 230m in height is the exception which dwarfs all towers within a few hundred metre radius. 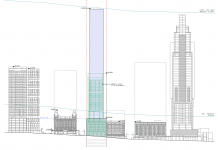 The tower will be a mix-use building as it will feature both a residential & commercial component. 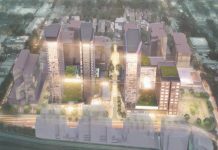 The lower half of the building will feature the commercial area with the floors above being reserved for residential purposes. 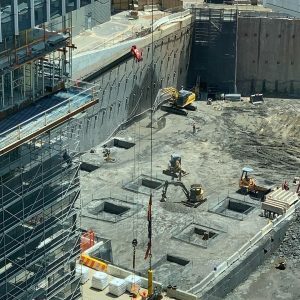 The building will be located quite close to the new Pitt Street Metro Station which is part of the Sydney Metro Stage Two infrastructure project, an underground rail line linking central Sydney with the north, north-west & south-west metropolitan areas of Sydney. 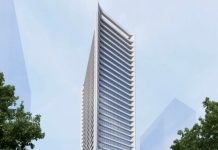 The location of the tower will be right in front of Hyde Park meaning there will be ample outdoor space residents will be able to enjoy right on their doorstep. 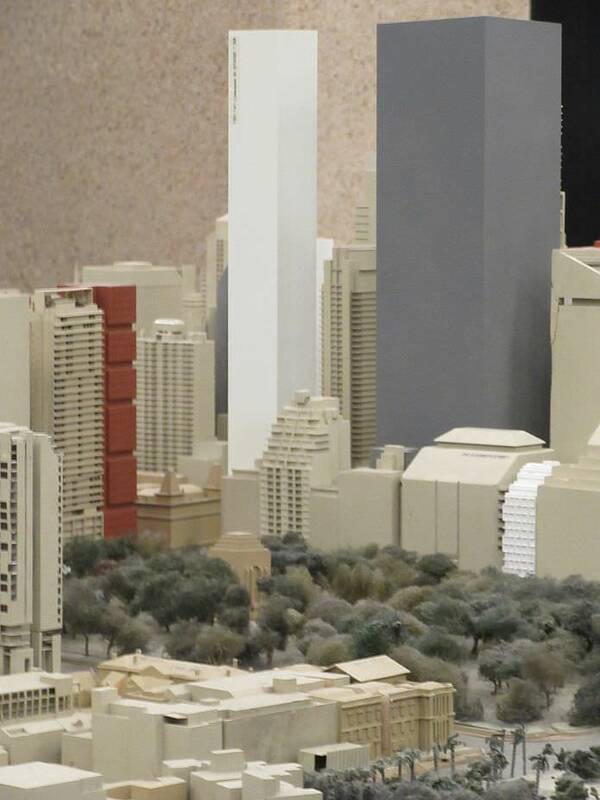 The Architects for the Concept design are Candalepas & the owners of the plot are the Catholic Diocese of Australia. 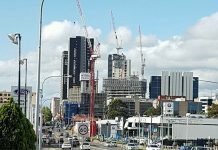 No builder for the skyscraper has been named at this stage, this will be named further down the development pipeline at a later stage. 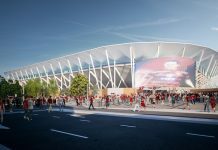 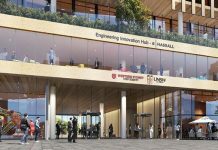 The concept DA has been submitted to the City of Sydney for approval. 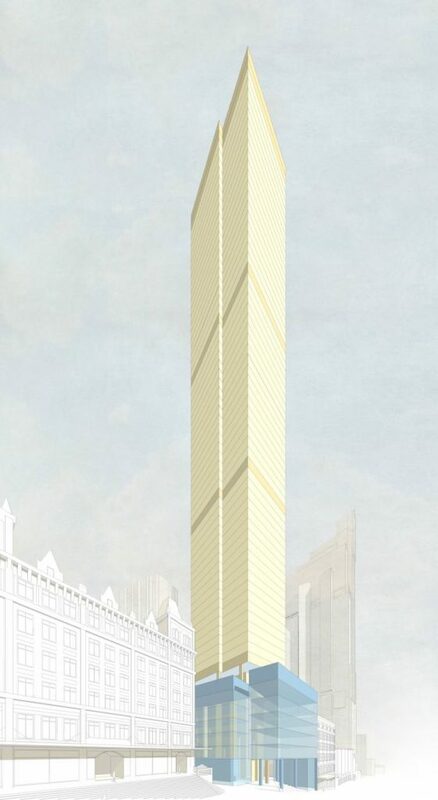 According to the 133-141 Liverpool st Development Application, the proposal is expected to cost $161,592,926 making it a significant development in the CBD.